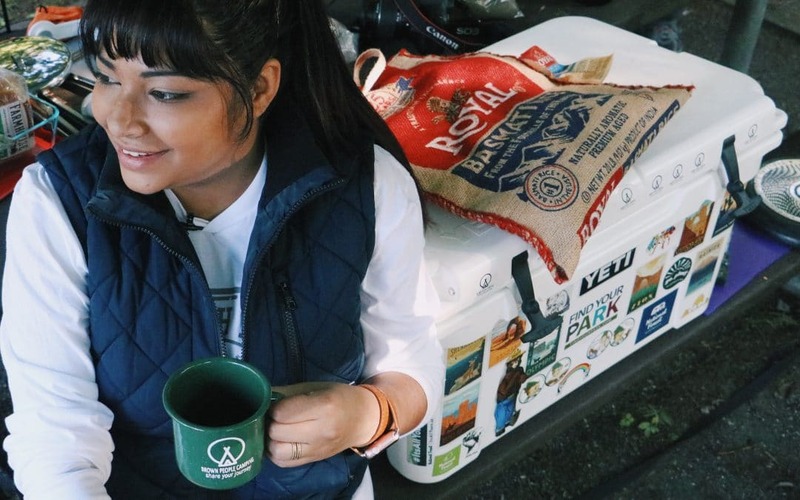 I first heard about Ambreen Tariq, founder of @brownpeoplecamping, when she was being interviewed by a local talk radio station here in Seattle. I was captivated by her eloquence and her passion, and touched by her message. Her struggle resonated with me, and though our origin stories are vastly different, I wanted to find out more. Both Ambreen and I have stories rooted in the great outdoors where we both sought acceptance, freedom and adventure. My own story is about divorce, surviving domestic violence and fighting a broken system that wanted to force my three children to have continued visitation with their abuser. 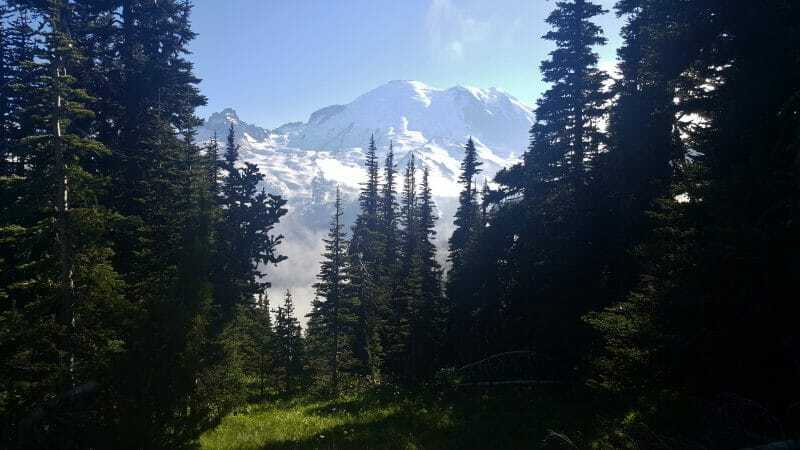 During that dark and desperate time, I would pack up my two young sons and daughter and head to the lush temperate rain forests of the Olympic National Park, or to the rugged peaks of Hurricane Ridge and Mt. Rainier, or to the blustery seascape of Dungeness Spit to escape – to find refuge, peace and safety, if only for a time. Nature welcomed us with open arms, and my kids felt safe, free and adventurous; they grew in courage and confidence – we all did. 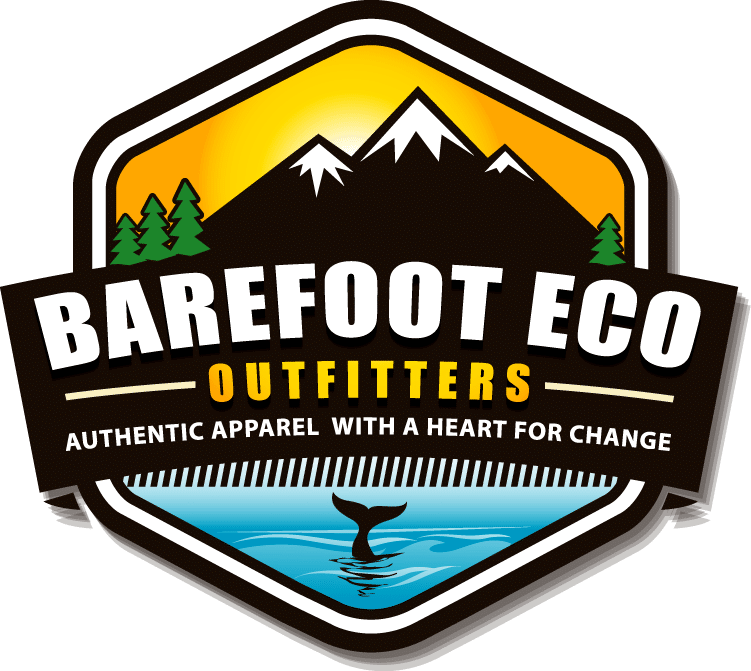 Barefoot Eco Outfitters is all about celebrating and honoring the natural world for what it has offered us. Our eco-friendly mission ensures that our products are not a blight on the wild places that we so love and cherish, and our giving back mission is our deep and heartfelt “thank you” for offering us those places to heal and find hope and the knowledge that we are all one family in the great outdoors – citizens of the wilderness whether we know it or not – and always welcome in those natural places that belong to us all. But this story is not about me, it’s about Ambreen, a Muslim, South Asian immigrant who came to the United States as an 8-year old girl with her family, and faced a long and difficult transition. To help ease the process of finding their way in their new country, Ambreen’s family would seek reprieve in nature, which provided needed respite from the struggles of being, as Ambreen often felt, the outsiders. 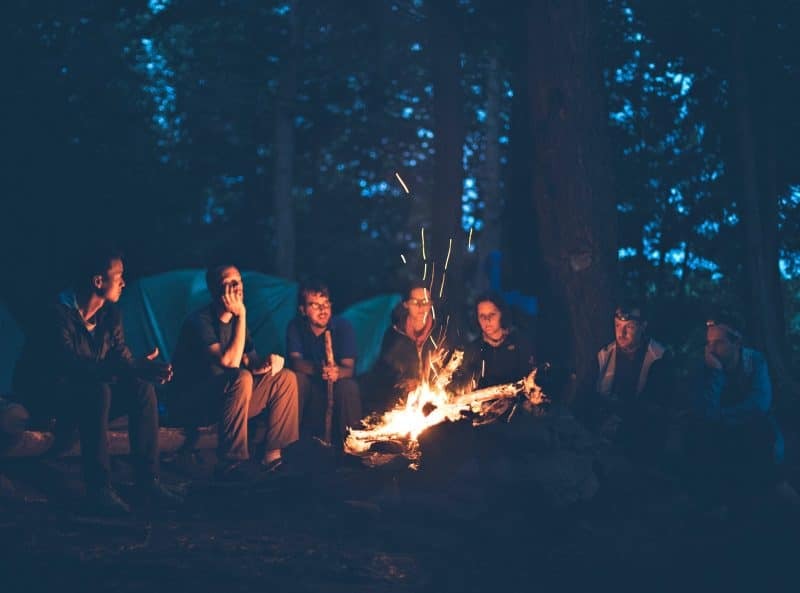 Forays into the wilderness were new territory to her family, but starting their experience in the US in the very outdoorsy state of Minnesota, they saw it as an opportunity to share a common experience with their new American neighbors, and to also find peace in nature. The problem was, Ambreen soon noticed that out on the trail, she saw very few people who looked like her. The absence of brown people as they camped and hiked was glaring, and the spectre of racism began to rear its ugly head in cruel ways. There was also the judgment that their nature escapes were not epic adventures in the backcountry, and somehow “didn’t count.” This weighed heavily on Ambreen as she grew into a bright, accomplished and talented young woman with a compelling voice, and she soon developed a passion to help diversify our public lands, and to increase both emotional and physical accessibility to these places that should be welcoming to all. Ambreen has taken the world by storm, and as the founder of @BrownPeopleCamping, she has gained a passionate and loyal following of people who connect with her honest, courageous, sometimes heartbreaking, but ultimately triumphant digital storytelling initiative (you can follow Ambreen and her engaging online content here: website: https://www.brownpeoplecamping.com/, Instagram: @brownpeoplecamping and Twitter: @brownpeoplecamp. 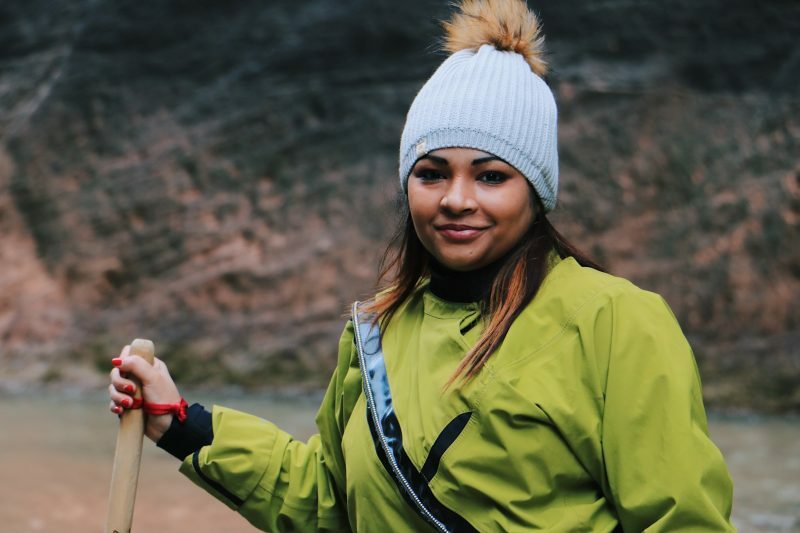 She has appeared in numerous articles, done countless interviews and been invited to be an ambassador for REI, Airstream and currently Merrell, as she chronicles her journey as a person of color in the great outdoors. Ambreen sits on the board of Green Muslims, and is passionate about defining and breaking down the barriers that keep people of color, and others who feel marginalized, off the trails. 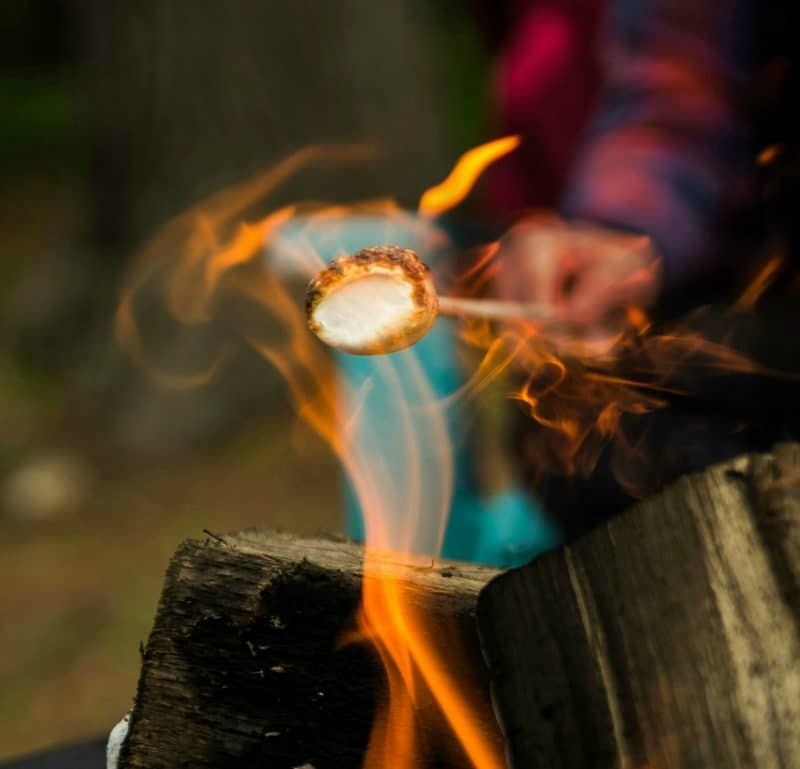 She recently became an Associate Board Member of the City Kids Wilderness Project in order to help give immigrant kids, city kids and underrepresented kids the empowering and life-changing outdoors experiences she had. You can read more about Ambreen here: (https://www.brownpeoplecamping.com/media/. 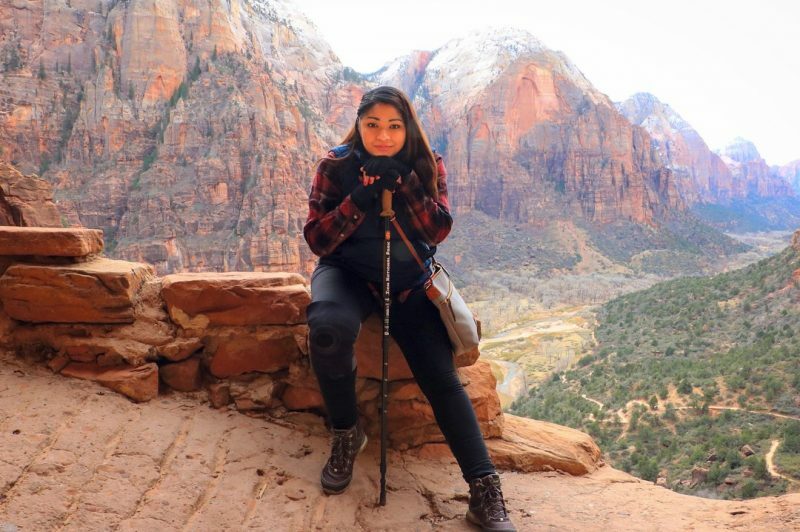 On a recent @brownpeoplecamping Instagram post, Ambreen invited her followers to share in the comments, any times that they felt unsafe or unwelcome in the great outdoors. She spoke honestly and painfully about her own experiences as a victim of overt and sometimes frightening racism out in the wilderness, and her audience responded; people of color – black, brown, native, immigrants all spoke of times of being racially profiled on public lands – threatened, detained, harassed. Women spoke of being harassed, stalked and threatened by men who exploited their vulnerability of being female in the remoteness of the outdoors. There was a heartbreaking sadness and commonality in voicing the pain and frustration about these barriers that taint or make impossible the enjoyment of an outdoor experience. I am a caucasian woman. I have not experienced the trauma of racism, of profiling and hatred due to religious or ethnic persecution, so I cannot pretend to understand the challenges of Ambreen’s world. But as a woman, I understand certain aspects of this experience. As a female who has faced abuse, dealt with jugdment and scorn as a single parent, and who has had frightening experiences out in nature of unwanted and fearful contact with those with opportunistic and dangerous motivation, I can relate. These things also taint my ability to experience the freedom I crave from an outdoor adventure. 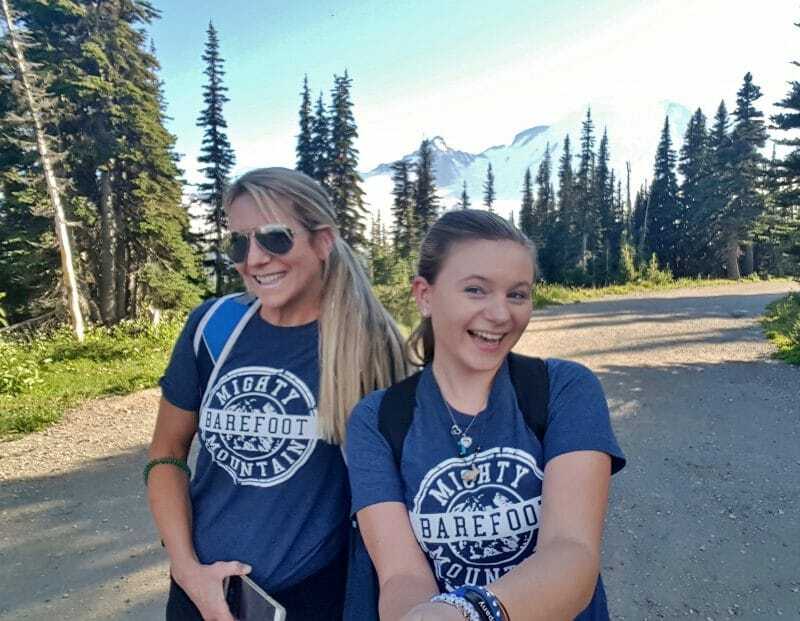 There is a sense of belonging, of exhilaration and joy that I feel only in nature, which I need to feel whole, healthy and alive, but which is often frustrated by my inability to take to the trails with my daughter. At the tender age of 20, she has had more than her share of experiences with me, that have cemented our resolve that we hike and camp only in groups now, something that takes more planning and has more limitations to spontaneity than my free spirit wants to accept. 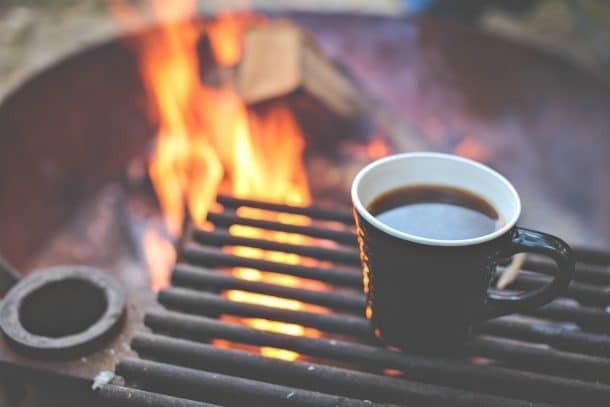 We won’t let this dampen our exuberance or keep us from those places that call to our souls, but we are highly cognizant of the certain limitations/precautions that define our outdoor adventures. I have come to know Ambreen through her initiative, and I can vouch for her authenticity, her HUGE heart of compassion and kindness, and her warm and welcoming personality. In spite of her challenges, she is determined to be a game changer – to make the path easier for those who come after her, to shine a light on the injustice and hatred that have no place in the wild areas that belong to us all. Our message is similar – that nature is a place of refuge and healing, of jubilant, life-giving experiences that can heal, inspire and give hope and confidence to the citizens of a weary world. The mountains, the forests, the sparkling streams and rushing waterfalls do not see color, gender, income or religion. They exist, season after season in an intricate and beautiful dance of life that invites us to shed our labels and dance with them. Who can question the majesty of a mountain? Who can own the vastness of the sea? Together, let us make those places bastions of acceptance, joy, inspiration and commonality of experience. Let us all find peace there, and a renewed hope for the future. Let us also fall so in love with those places, that we yearn to be stewards of their fragility and protectors of their vulnerability, so that they can stand in majesty with open arms for future generations. You are welcome there. We will keep fighting to protect our wild places. And in our hearts nature will always be home.